Last weekend, 29 schools from five states visited the upper school campus to participate in the Nichols Debate Tournament. Harker students did not compete, but helped organize and run the tournament. 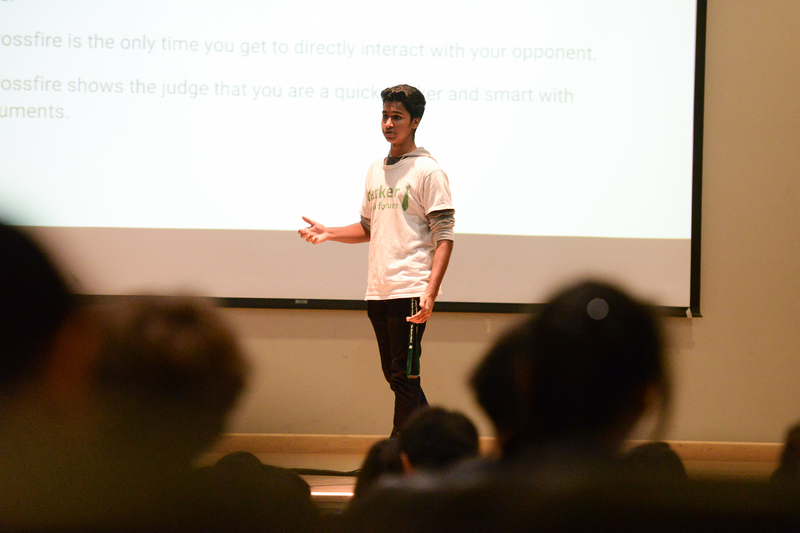 Upper school debate students held a special workshop for novice debaters, who participated in a tournament of their own.